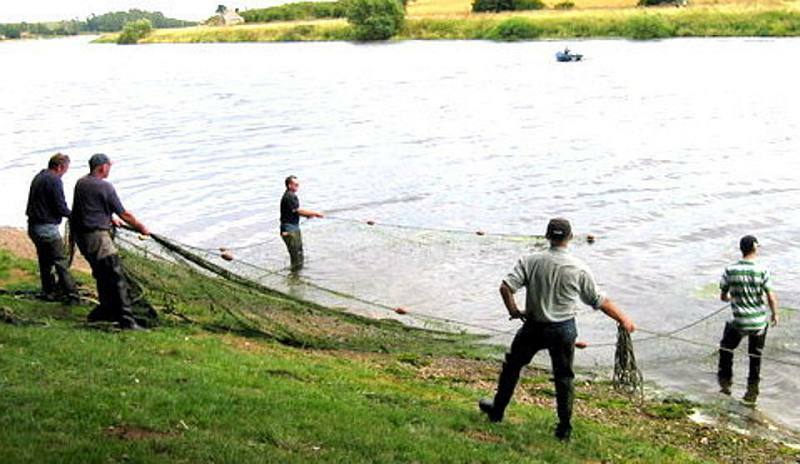 Salmon net fishing on the River Tweed below Paxton House, 2006. Photo: © Les Hull and licensed under Creative Commons Licence. Salmon net fishing on the River Tweed can be traced back to the 12th century. 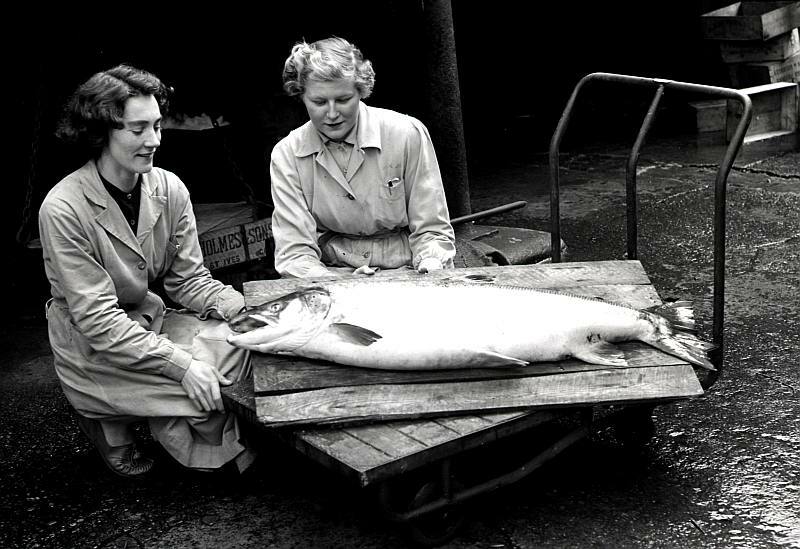 Up to the 1980s net salmon fishing employed hundreds of men annually on a seasonal basis. Since then netting salmon on the River Tweed has contracted substantially, with only two fishing stations remaining in order to conserve salmon stocks. Banner image: (a) see main picture above; (b) An early twentieth century image of salmon fishing on the River Tweed © Berwick Record Office.